With all the fish back in the tunnel, I set up the males tank with my friend Mark Dickinson filled it up and left it for a week to test for leaks. 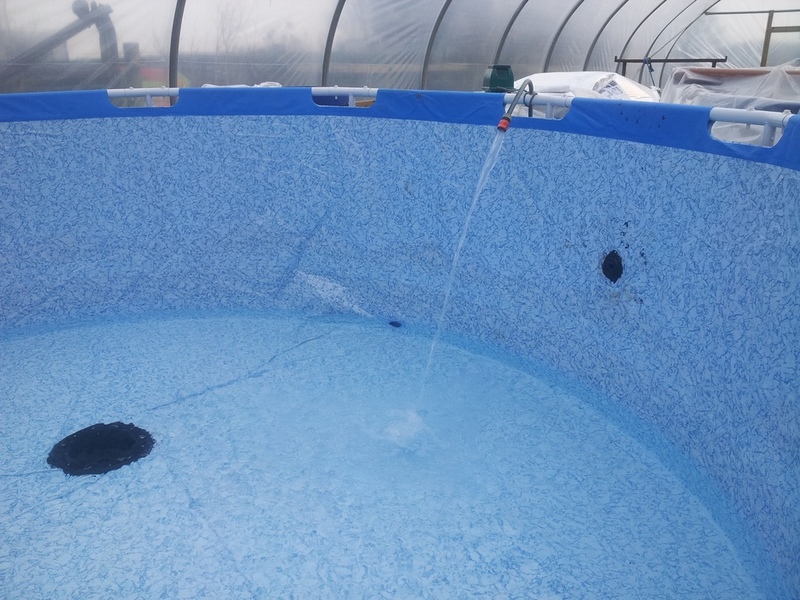 Unfortunately, it lost around a inch of water level over the week so I emptied the pond and left it to dry before resealing the bottom drain and waste pipe. I've been filling it today and just hoping the work I've done fixes the problem. The main pond has been ticking along nicely and I've been holding it in the low 20's Celcius. 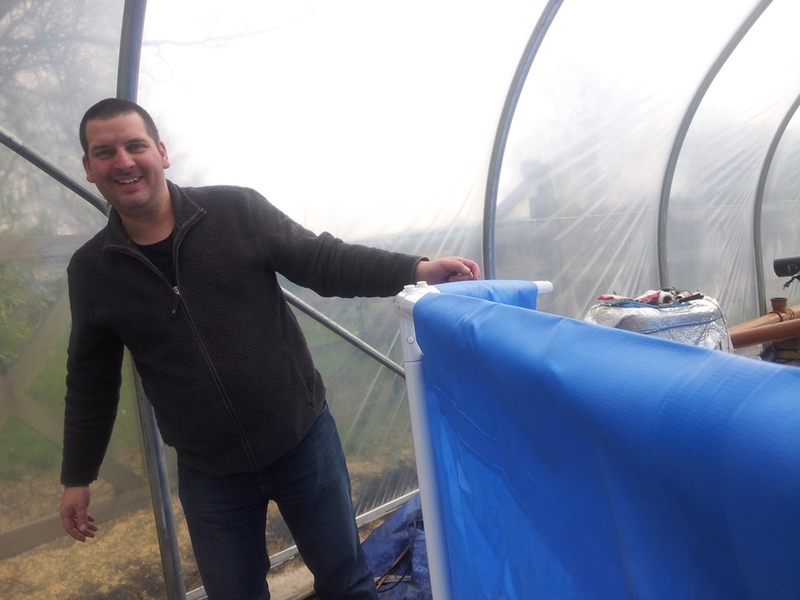 Solar gain in the polytunnel has helped heat the pond up. 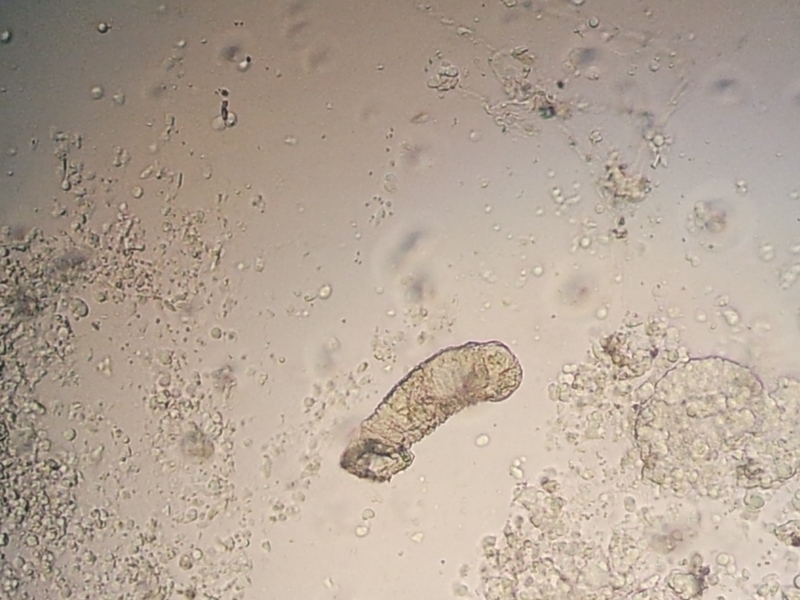 The last few days I noticed some irritation on the koi's skin so brought the microscope out this evening, took some mucus scrapes from the koi and found this blighter. So I've started treating with Fluke M which gives me a chance to finish off the males tank while the medication is doing it's thing.